Good morning! As you may or may not be aware, October is Breast Cancer Awareness Month. I've chosen to start off the month today by posting my swatches of the Pretty and Polished Breast Cancer Awareness duo. All profits from this duo will be donated to Little Red Door in Delaware County, who Chelsea from P&P has had personal experience with. 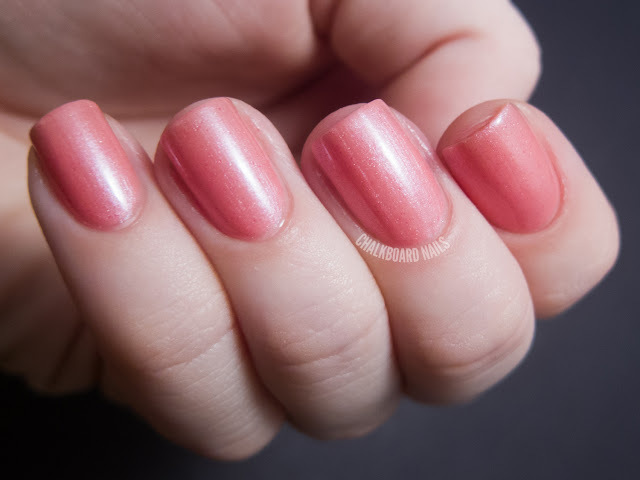 You Are Beautiful is a medium pink with a shimmery base. There are also interesting darker pink flecks in this polish -- you can see them really well in the macro shot at the end of this post. This is three coats of You Are Beautiful alone. It applied easily and without issue. 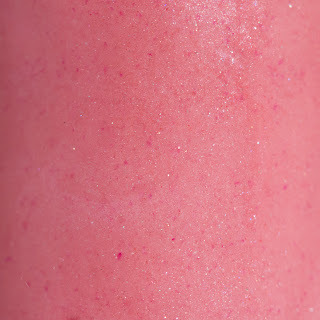 BCA is a pink glitter topper. 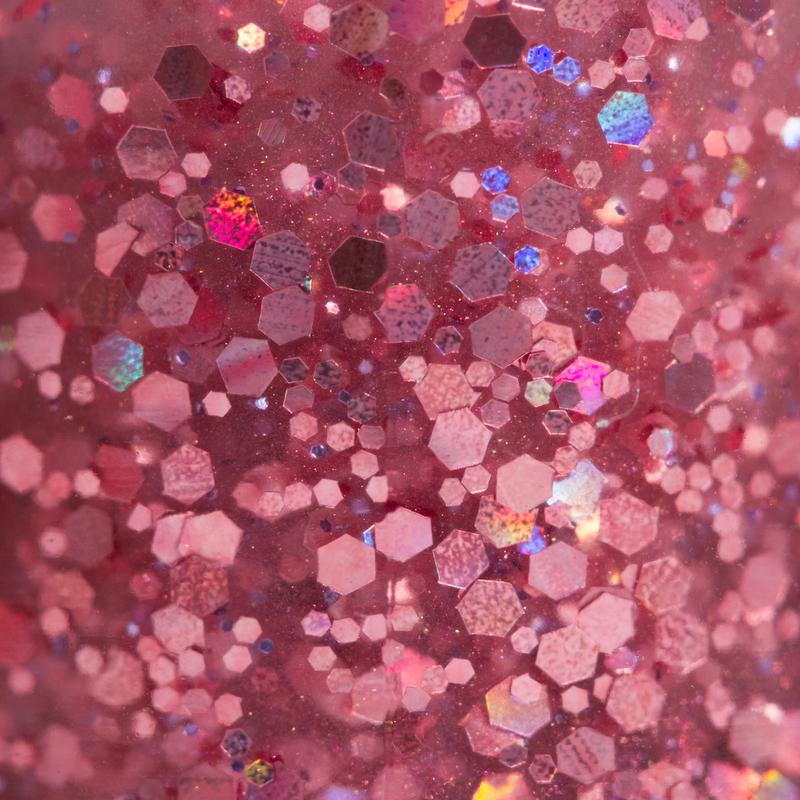 It has two sizes of pink holo hex glitters as well as small purple glitters and a gorgeous shimmery base. I have shown this over China Glaze Purr-fect plum, which is a creme. 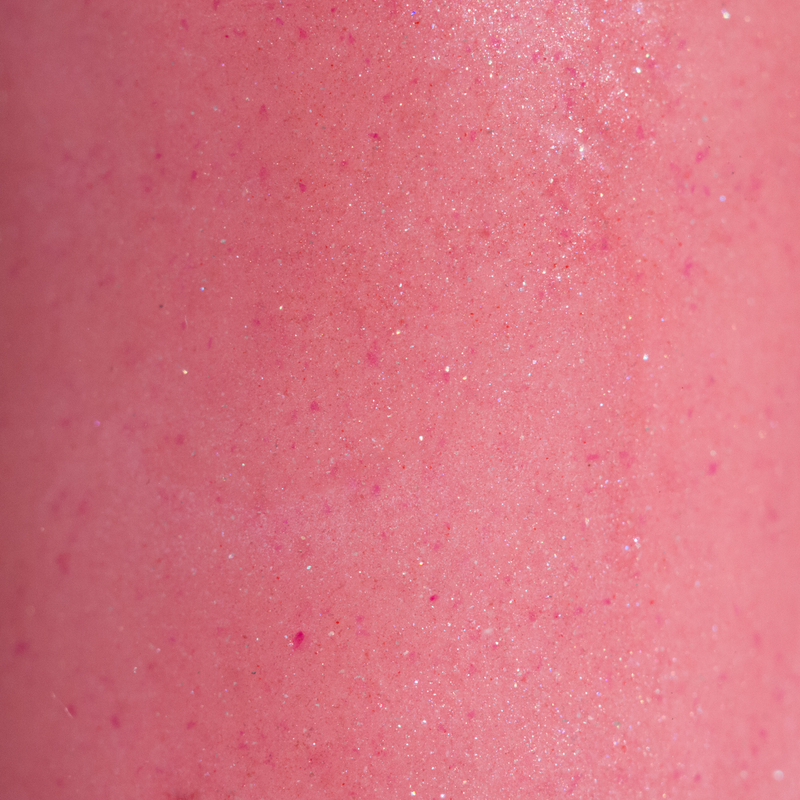 If you enlarge the photo you can see the amount of lovely shimmer in this base. Really great! 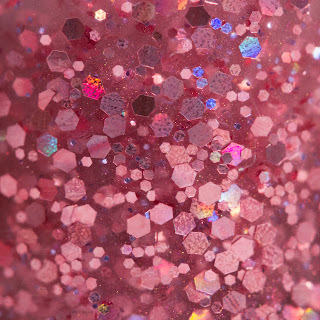 Here are the bottle macros of these polishes. Pretty and Polished is sold on Etsy. 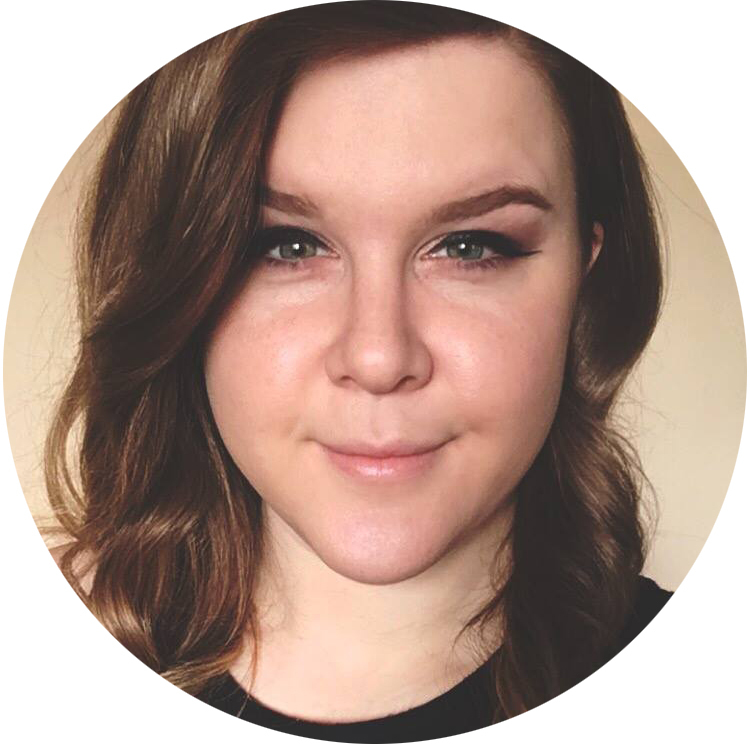 You can also follow P&P on Facebook and on their blog! These polishes are 3-free, cruelty free, and available in both a set of minis and a set of full size polishes. Remember, all the profits from these polishes go to Little Red Door in Delaware County. The products in this post were sent to me for review. These are gorgeous polishes...and for a great cause too! Please be guest blogger at my blog with these two (or other pinks) during Oct in order to raise money to support the fight against breast cancer! All info can be found at my blog. Great idea! That glitters gorgeous! Lovely swatches. I love BCA. These look great on you. I had to play around with different color combos to make them work on my skin tone, but worth it for the great cause. I'm going to try a plum base next with the glitter thanks for the idea! Pretty polishes and you just confirmed my need to own Purr-fect Plum! 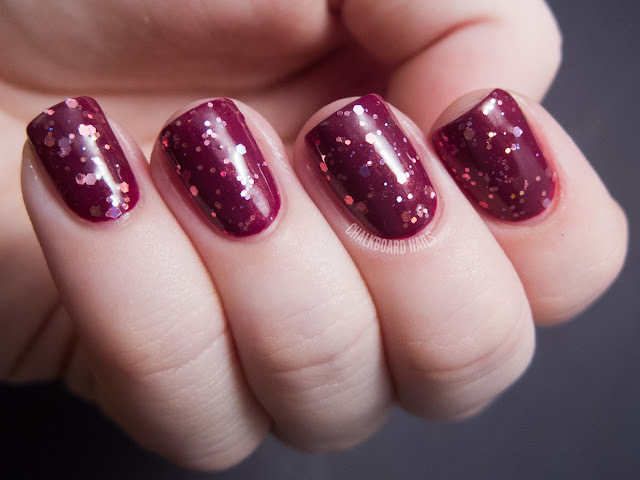 I really adore BCA over Purr-fect Plum, that is a really great combination. and that shimmer in the base is stunning!